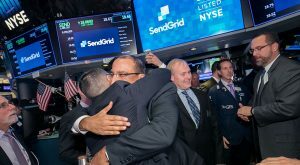 Shares of SEND, trading on the New York Stock Exchange, closed 12.5 percent above the price their initial offering price. 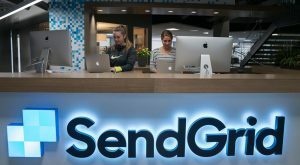 The Boulder-born and Denver-based email marketing company is offering stock to the public for $13.50 to $15.50 per share. 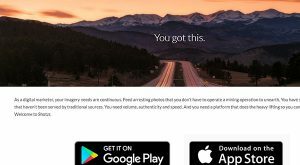 After nearly doubling its workforce this year, the Denver ad tech startup has stashed away an additional $6 million in Series B funding. A new app is flush with cash to create a catalog of images for social media accounts. It claims Denver-based Garbanzo Mediterranean Grill walked out on a bill from 2015 that likely topped $100,000. A Fort Collins firm that makes health-related videos, animations and software owes creditors at least $4.4 million and defaulted on a $1.6 million bank loan. 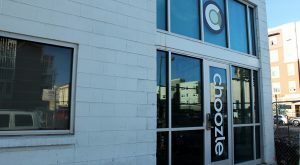 The suit claims a Denver-based marketing firm skipped payments on a personally guaranteed loan when it abruptly closed in August. Aspen Skiing Co.’s 2017 advertising campaign by local agency Karsh Hagan is meant to highlight the history of Aspen Gay Ski Week and the resort’s efforts to protect the environment, among other social causes.